Welcome to my first regular feature- Fashion and Film Friday. In these posts, we'll cover my favorite modern movies with great vintage style. Today was very cold, snowy and grey outside. As you know from my post on dealing with winter blues, I like to close the windows, pretend it's sunny and work on happy, fun things. Today I put on Chocolat while I cut out a jacket pattern to match my houndstooth pencil skirt. 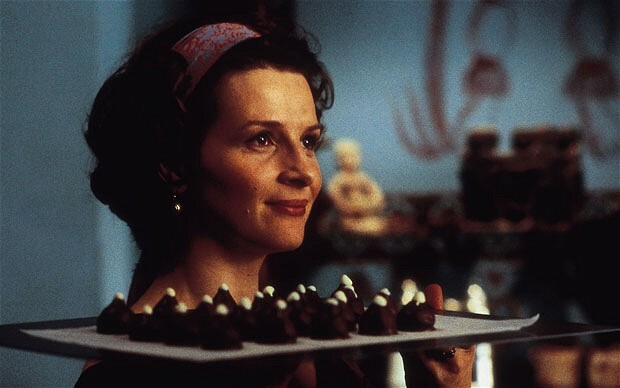 All of the lovely scenes where Vianne stirs smooth, melted rich chocolate makes me want to make truffles and tiramisu. The costuming in the movie is just stunning. I love Vianne's red heels, orange cardigans and striking blue dress against the grey dullness of the oppressed French village setting. What a magical movie. 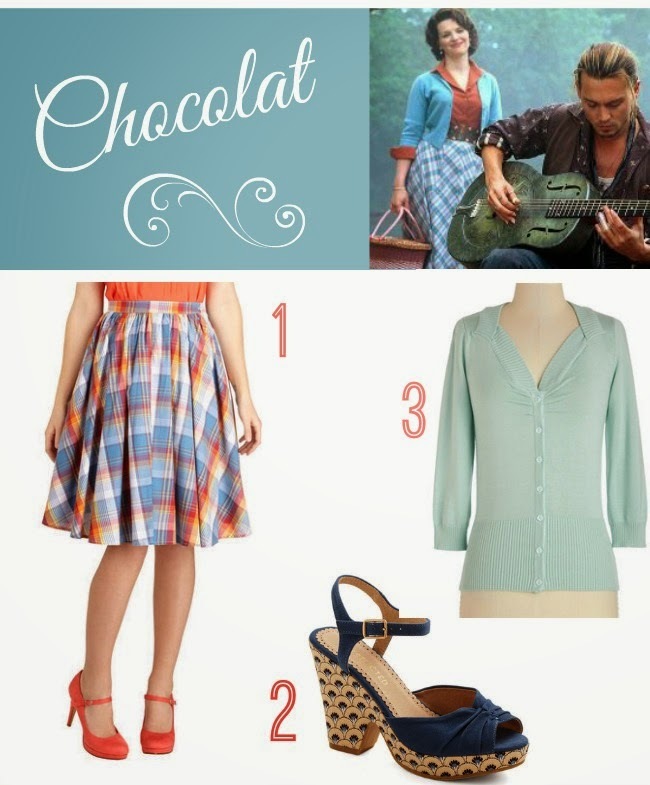 Check out Chocolat on Amazon! 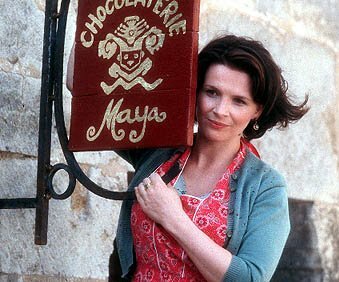 Stop by for next week's "Fashion and Film Friday: Atonement"
I'm in love with Vianne's fashion in the movie chocolat! I would love to find dresses similar to the ones she wears. In particular, there is a dark maroon colored one with a sweetheart neckline I adore. 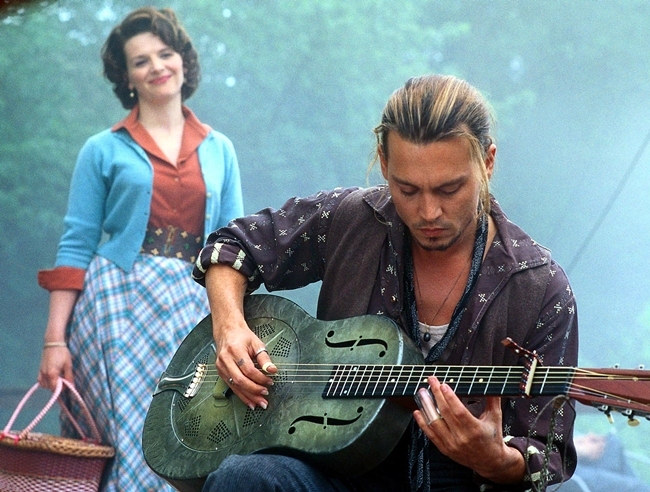 I also like the vintage fashions in Julie & Julia. Maybe I just don't know where to look, but they are hard to find!